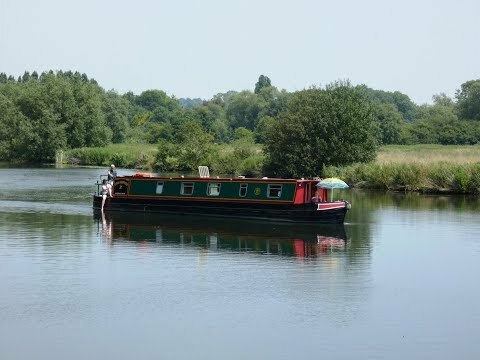 Sonning Eye, about 3 miles northeast of Reading, is a hamlet on the River Thames in Oxfordshire opposite the village of Sonning on the Berkshire side of the River Thames. The villages are linked by the 18th century brick-arched Sonning Bridge combined with Sonning Backwater Bridges. The Sonning Backwater Bridges are two road bridges across two branches of the River Thames. Built in 1986 to replace an older wooden structure the bridges span Sonning Backwater and the millrace to link historic brick arch Sonning Bridge of 1775. Sonning Eye is surrounded by the alluvial floodplain of the Thames much of which has been extracted for gravel to form a number of lakes upstream. A long rowing lake was made and named after Olympic oarsmen Steve Redgrave and Matthew Pinsent. There are other local sports such as sailing and water skiing. The heart of Sonning Eye is a Conservation Area which includes 12 architecturally Grade II listed buildings, five of which are converted barns. On the riverside near the Sonning Backwater Bridges is the French Horn, a luxury hotel and restaurant with a small public car park, a place to launch small boats and a grass area on the river bank popular with fishermen. The Mill at Sonning is a restored 18th century watermill on a medieval site, now converted to a dinner theatre. The millrace runs through the theatre bar and powers a small turbine powering a hydroelectric generator that supplies the National Grid. On the island behind The Mill is Mill House a Grade II listed building which was built in the 17th century and once owned by the wealthy Rich family who were the Lords of the Manor of Sonning who also owed the Manor House. The Mill House was bought by the American film star George Clooney and his wife, the human rights lawyer Amal Alamuddin, in 2014 for around £10 million. Sonning village, at the crossing point of the River Thames where the narrow arched Sonning Bridge on the B478 crosses the river to Sonning Eye, prospered as an important stopping post for travellers, both by road and boat. Most of Sonning together with the grounds of Reading Blue Coat School forms a Conservation Area. The Great Western Railway passes about half a mile south of the village, in a two mile long cutting named Sonning Cutting. It was opened in 1840 and was the scene of one of the first railway disasters where nine passengers died when a goods train ran into a landslip in 1841. Shiplake is a two centred village on the Oxfordshire side of the River Thames about 2½ miles south of Henley-on-Thames. In 1889 the author Jerome K. Jerome featured the village and also described Sonning as “the most fairy-like little nook on the whole river” in his novel “Three Men in a Boat”. Shiplake Court overlooking the Thames was a country house rebuilt in 1894 which in 1959 became Shiplake College, an independent boarding school containing many listed buildings. The River Thames is the longest river in England and the second longest in the UK. The river is 215 miles in length rising at Thames Head in Gloucestershire and flows into the North Sea via the Thames Estuary. On its route the river passes through London, where it is tidal with a rise and fall of 23 feet, and flows alongside other cities and towns, including Oxford, Reading, Henley-on-Thames and Windsor. The River Thames has been a transport route for centuries and Wallingford’s growth as a town relied partly on it. Coal was supplied from North East England by coaster to London and then by barge upriver to Wallingford. In July 1866 the Wallingford and Watlington Railway was opened between Cholsey and Wallingford. Its speed and reliability enabled it to take a large amount of goods previously carried on the Thames. With the car parking area on our right we head forwards round the bend along the no-through road until we reach the main road. We cross straight over and take the little gate on the right of the minor road. We follow the path with the allotments on our right then keep following the hedge on our left through the fields. Just before the big trees in front of us we turn left through the gate then turn right along the road. At the t-junction with the Flowering Spring pub on our left we cross straight over the road, B4155, go up the steps and turn right. We head forward for a short way to a gap in the hedge where we go down some steps and follow the yellow arrow. After short way at the junction of paths we turn left uphill walking between the two hedges. We keep heading forward and when we see a house on our left we soon come to a crossroads of paths we keep heading forward until we come to the road. We turn right following the road through the village then 100 yards after passing the post box we turn right at the footpath sign for Shiplake. We head forward with the hedge on our right and soon pass through a wood. When we come into the open again we keep following the path bearing to the left uphill. The path soon bears left again through the hedge and we head forward through the field. We pass through a tiny copse then ignoring the stile on the left keep heading forward until we see a white arrow on a post we turn left there through the field to Shiplake. At the road we turn right through the village. When we reach the main road with the Plowden Arms on the right we cross straight over to go down Church Lane. We visit the church and churchyard before heading forward following the track which turns sharp left down to the River Thames. At the River Thames we turn right over a footbridge. We now just follow the Thames Path and Towing Path to Sonning Bridge where we turn right onto the road. We follow the road for about 5 minutes to the roundabout at Sonning Eye and turn left back to the car park. This is an easy mainly level walk on grass and gravel tracks and paths. Three short distances of minor road and one main road. There are also some gates and stiles. Elevation: approx lowest point 32.90m (107.94ft) approx highest point 93.70m (307.41ft) approx ascent 69.30m (227.36ft). Approx 5.7 miles allow 2½ -3 hours using OS Explorer Map 171, Chiltern Hills West, Henley-on-Thames and Wallingford. This walk is done clockwise. Sonning Eye in Oxfordshire, located between Henley-on-Thames and Caversham. From the B4155 between Reading and Henley-on-Thames take the B478. At the roundabout turn right for the car park area at Sonning Eye or straight on for Sonning. Parking: Free parking at the side of the road in the village of Sonning Eye. There is also an over flow car park and Community Park and Ride on B478 between Sonning Eye and The Mill. There are no public toilets en-route the nearest ones are at Twyford, Wargrave and Caversham. For refreshments there is The French Horn at Sonning Eye, The Mill at Sonning, The Flowering Spring on the A4155 Henley Road, The Plowden Arms pub at Shiplake.